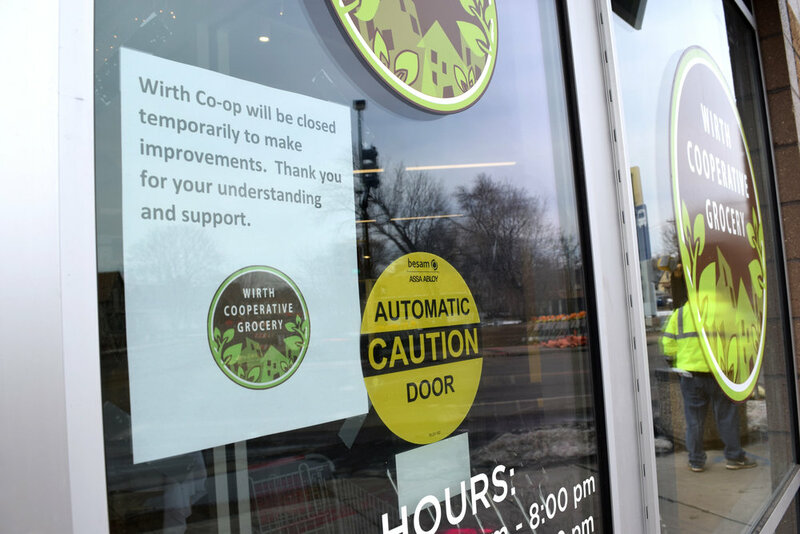 In a surprise announcement to many of its members, Wirth Cooperative Grocery Store (1835 Penn Ave N) announced on April 9 that it would be temporarily shutting its doors as it assesses and restructures parts of its store. This evaluation is being done in partnership with the Northside Economic Opportunity Network’s (NEON) Food Business Incubator (FBI) program. Wirth Cooperative Grocery Store recently announced that it would be temporarily shutting its doors in an effort to re-assess and re-tool itself to better meet community needs. “We’re super excited to be bringing forth the resources in our agency to help in any way that we can to make the co-op amazing. ...We’re hopeful about the future of the co-op,” said Ann Fix who works with NEON’s FBI program. Attempts to reach Wirth staff and board members for comment were forwarded on to NEON. Wirth Co-op opened in October 2017 after ten years of community activism. Management has changed a few times in the co-op's short existence. Just last month, Wirth announced that former General Manager Winston Bell would be replaced by current manager Snow Aukema. “All the little pieces are there, but the reality is the co-op hasn’t really been hitting their projections and their numbers, and so, last week, the Board came to the conclusion that ‘we really need to shake things up a little bit,’” said Fix. According to Fix, the closure is also occurring because of the Penn Ave. improvements project. Road construction and road closure along the corridor will make accessing the business more difficult. “Everyone thought this was a really good time to slow down. Everyone though ‘let’s just slow down, shut the doors for a little while and kinda regroup, retrain, engage the members, engage our community, and really get focused on where we want to be when we reopen in a couple of weeks,’” said Fix. According to Fix, much of the work occurring at Wirth in the next few weeks will focus on creating new structures and processes for the business, while also re-evaluating merchandising, and providing additional training for staff members. A review of Wirth's Facebook Page shows a highly-rated community grocery store that has garnered much community support. Comments on and shares of its hiatus announcement, however, were a mixed bag with some community members expressing concern and others curious to know when (and whether) it would be opening back up. According to Fix and Wirth's social media posting, the hiatus should only be a few weeks long. They plan on engaging members in this assessment and do plan to host at least one member engagement event in the next few weeks. North News will keep you updated as announcements are made. For now, community members with comments, questions, or concerns can email info@wirth.coop.